GR: I suppose that we all know what’s causing habitat loss. 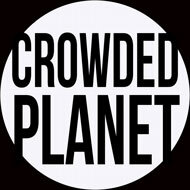 The human population has grown without limits and like bacteria in a petri dish, we are using up the Earth’s resources. The outcome was predicted long ago. Couple those predictions with the unexpected rapid intensification of climate change and you can see why our ultra rich citizens are hoping to find water on Mars and other planets. They hope to soon be saying, “So long and thanks for all the fish.” Of course, the rest of us can’t wait for the day that they all fly away in an Elon Musk version of the Golgafrinchan Ark Fleet Ship B. “As a UN conference convenes to work out a new deal for protecting the planet’s biodiversity, the focus falls on the nations that are not attending. “Amid the worst loss of life on Earth since the demise of the dinosaurs, the agenda at the Convention on Biological Diversity (CBD) in the Egyptian resort of Sharm el-Sheikh could hardly be more important, but the spirit of international collaboration appears to be as much at risk of extinction as the world’s endangered wildlife. The United States has never signed up and Brazil is among a growing group of countries where new nationalist leaders are shifting away from global cooperation. 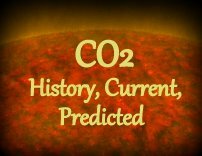 GR: Let’s say we get control of our greenhouse gas emissions and hold global warming to two-degrees. There will be deep long-lasting droughts, coastal flooding, mass migrations, and many deaths due to heatwaves, floods, and fires. Nevertheless, humanity will survive. Can we count this as our greatest triumph? Not really. Most of Earth’s beautiful forests, natural grasslands, and countless wild animals and plants will not survive. Here are two articles that lay out some of the details of the greatest human failure of all; the failure to care for and protect our planet’s precious biological heritage. “Scientists analysed both common and rare species and found billions of regional or local populations have been lost. They blame human overpopulation and overconsumption for the crisis and warn that it threatens the survival of human civilisation, with just a short window of time in which to act. “The study, published in the peer-reviewed journal Proceedings of the National Academy of Sciences, eschews the normally sober tone of scientific papers and calls the massive loss of wildlife a “biological annihilation” that represents a “frightening assault on the foundations of human civilisation”. “Previous studies have shown species are becoming extinct at a significantly faster rate than for millions of years before, but even so extinctions remain relatively rare giving the impression of a gradual loss of biodiversity. The new work instead takes a broader view, assessing many common species which are losing populations all over the world as their ranges shrink, but remain present elsewhere.The scientists found that a third of the thousands of species losing populations are not currently considered endangered and that up to 50% of all individual animals have been lost in recent decades. Detailed data is available for land mammals, and almost half of these have lost 80% of their range in the last century. “One should not need to be a scientist to know that human population growth and the accompanying increase in human consumption are the root cause of the sixth mass extinction we’re currently seeing. All you need to know is that every living being has evolved to have a set of habitat requirements. “An organism can’t live where the temperature is too hot or too cold. If it lives in water, it requires not only an appropriate temperature range, but also appropriate salinity, acidity and other chemical characteristics. 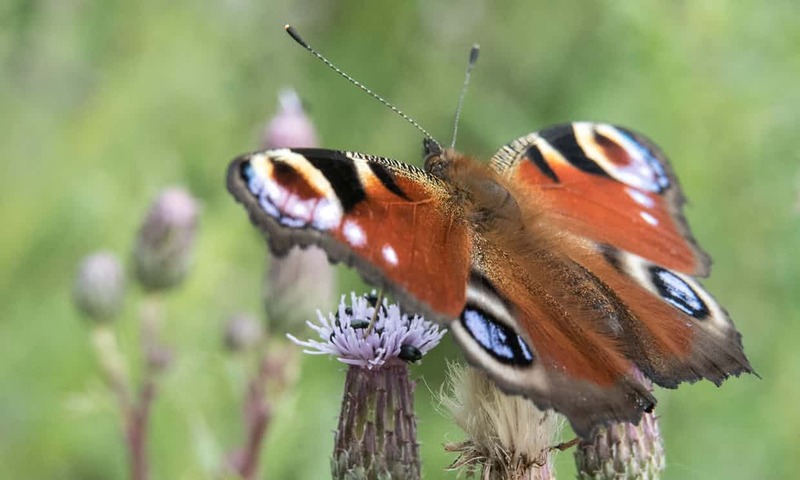 If it is a butterfly, it must have access to plants suitable for its caterpillars to eat. A lion requires plant-eaters to catch and devour. A tree needs a certain amount of sunlight and access to soil nutrients and water. A falciparum malaria parasite can’t survive and reproduce without Anopheles mosquitos in its habitat and a human bloodstream to infest. Tumbling Down the Rabbit Hole Toward a Second Great Dying? World Ocean Shows a Face Now Shadowed With the Early Signs of Extinction. GR: Excellent post by Robert Scribbler comparing today’s mass extinction with the great Permian-Triassic episode 200 million years ago. That one eliminated more than 99% of all life on Earth. Recovery was slow; on land, ecosystems took 30M years to recover. Today, fossil fuel burning is quickly taking us toward the same conditions that prevailed over life during the great Permian-Triassic event.